Tryp Fortitude Valley, Brisbane’s only street art hotel has added two new murals by international artists this week. 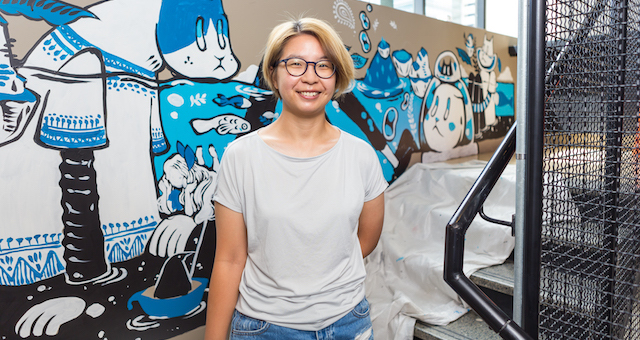 Hong Kong artist Bao Ho, the first woman to add to Tryp Fortitude Valley Hotel, Brisbane’s collection, and Colombian artist Gris One took to the walls to wrap up the Brisbane Street Art Festival. 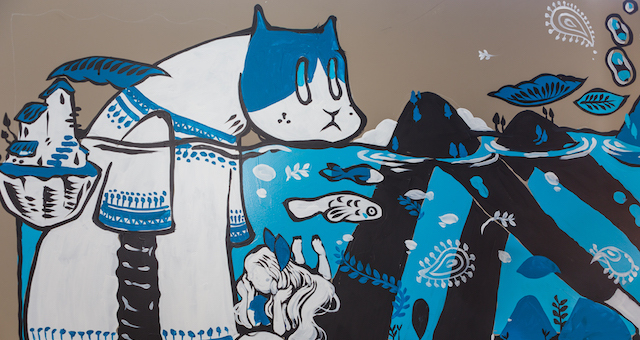 Bao Ho creates freestyle murals and illustrations featuring animated characters. She has collaborated with various international brands and worked on projects across the world, including in Australia, China, Japan, Indonesia, Italy and the Czech Republic. Gris One works around the world creating multi-colour compositions inspired by nature and day-to-day city life. “Street art is a key facet of TRYP Fortitude Valley’s identity and one of our main drawcards for guests, so it’s exciting to have some new additions to our collection,” said hotel manager Kim Knowles. Each floor at TRYP Fortitude Valley features works by a different artist, including Fintan Magee, Beastman, Rone and Numskull.